Consultations will be held behind closed doors. 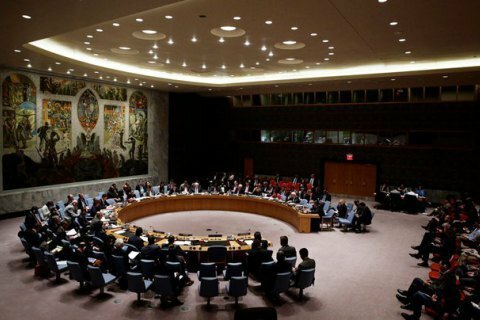 The United Nations Security Council will discuss growing tensions between Ukraine and Russia on Thursday in a closed door meeting, diplomats said. The Ukraine mission to the United Nations said it had requested the meeting. Earlier, Russia said Ukrainian subversive groups were plotting terrorist acts in Crimea, which Ukraine strongly denied. Today the Ukrainian president put the Armed Forces on combat alert along the line of contact in Donbas and the administrative border with Crimea.